It’s Tuesday, and you all know what that means: the casino streamers biggest wins compilation video. In today’s clip we have a variety of slot games from your favorite casino streamers. Moreover, all the wins come from the 10th until the 16th of September 2018. For a complete overview of all of our videos, check out our Big Wins page. Fancy playing any of the slot machines featured in this week's clips? Check out the streamers top rated casinos and bonuses list. 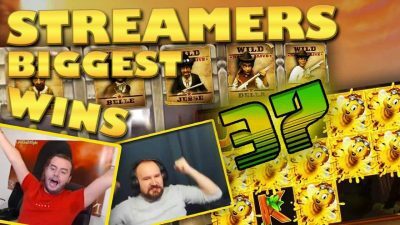 First up on the Casino Streamers Biggest Wins Compilation we have Supersmask. His win came from the new Merkur slot Light Blocks or the Tetris slot, as the community is calling it. Here the casino streamer was betting SEK 10 per spin when he got into a hot run. After getting block after block in the right position, he managed to make a huge tower which reached up to 13x the multiplier. Hence a 600x the stake total win. Next we travel to Finland with the biggest highroller of them all. Who else but Jarttuslot would be playing the volatile Book of Ra 6 slot on a huge €20 bet. Here he triggered the bonus round with the explorer as the special expanding symbol. Initially the bonus was looking bad, however a re-trigger added 10 more spins and it was in these that 4 of the premiums landed for a massive €10k win. Guess luck favors the bold. It is interesting to see how, month after month, Play‘N Go can come out with new fun slot machines. Their latest title is the Street Magic casino game which Rex was playing on Casumo on a €2 bet. This game has a siple free spin round where the wilds that land can stick in place for the duration of the spins. However, the winning potential is immense, and our streamer took full advantage getting a massive win of 779x the stake. Can’t wait to see what Play‘N Go has in store for us next. It was quite a while ago that we featured a big win on Montezuma. This slot has lost some of its popularity but it still remains one of the classics. 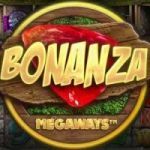 Chipmonkz was giving it a try, last week, on a big £6 bet when he got the free spins. Now as most of you know, the bonuses on this slot game can be extremely long. However on this particular one it was worth it. Thus thanks to a one hit wonder, the streamer got multiple premiums in one spin for a mega win of 1122x the stake. - Monty still got it! The second Merkur slot to be part of today’s list is Night of the Werewolf. Specifically, it was Miikapekka who was playing this game on a €1 bet at Videoslots. I have to admit, I was not familiar with this particular title, as like most players I go for the more popular Merkur casino games. However, after seeing the epic win, of 1368X the stake, our streamer got. - I will definitely give it a try. We end this Casino Streamers Biggest Wins compilation with a sick wild line on Dead or Alive. A win like this was on Letsgiveitaspin’s bucket list for a long time. In Dead or Alive you have to hit the wild line or 5 scatters for the machine to pay. Therefore i am very happy that we hit one of those two as it officially ended the cold streak we had for several months. This was the first of the two wild line we got on this game during the same stream. Let us hope the good run continues. Tell us which win on Casino Streamers Biggest Wins – Week 37 of 2018 was your favorite. Share your thoughts in the comments. Also make sure to check our other videos on CasinoGround’s YouTube channel.